When you're a rebel, you know it. You want to show the world just who you are. 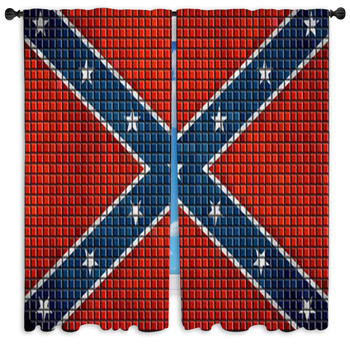 Our confederate rebel flag window curtains yell out your stance and bring an image that you can relate to into the interior of your home, so your guests know how you feel. 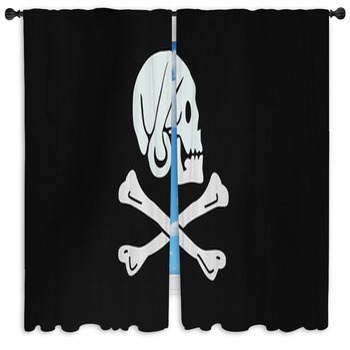 These custom size window curtains are edgy, showing different rebellious symbols in awesome quality. 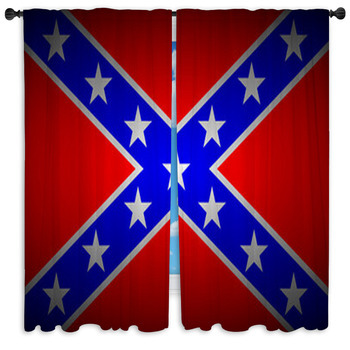 From the Jolly Rodgers to the rebel flags of the south, our drapes and valences make a statement wherever they are used. 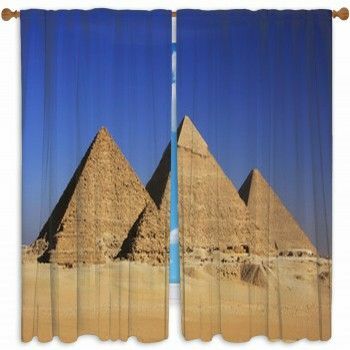 When drawn, these drapes will light up with light showing your pride in a living room, bedroom or anywhere. 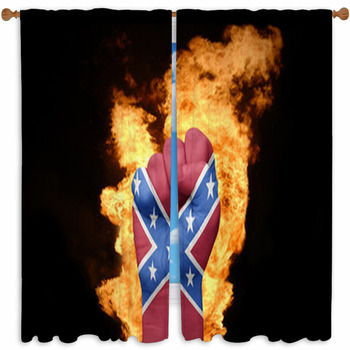 Regardless of the state you live in, the rebel flag is a powerful statement. 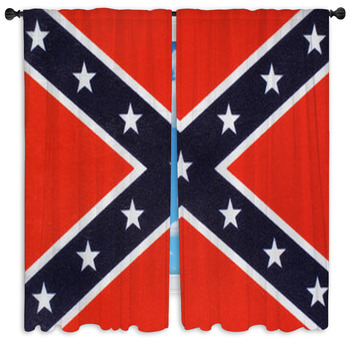 Our window valences with confederate flags come in many different styles. 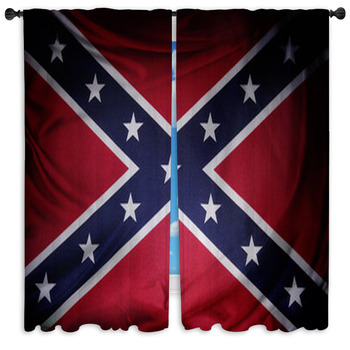 We have drapes with weathered and worn confederate flags as if they had come valiantly from the Mason Dixon line. 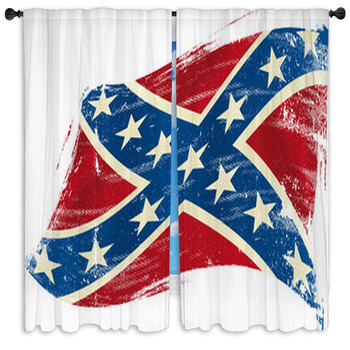 The confederate flag can also be shown on our drapes blowing in the southern wind or surrounded by grungy and rebellious artwork. We even have a design showing a man yelling and wearing a confederate trucker cap. Who can forget the original rebels of the sea, the pirate? 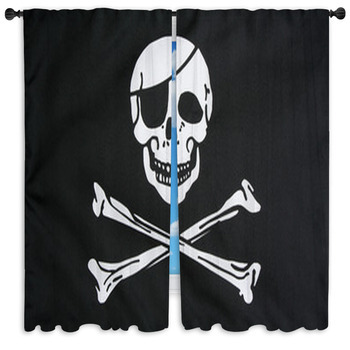 These window valences and drapes can be decorated with the infamous skull and crossbones symbol. 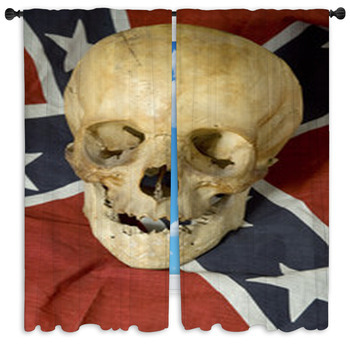 When you have custom size drapes of skull and crossbones covering a map of the world you will make a big statement in your rebel home. 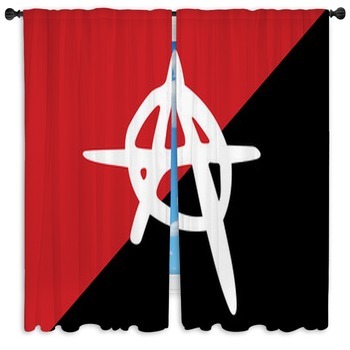 If you're a true rebel, don't stop with drapes; we have complete lines of revolution flag wall mural, bedding, and bathroom decor items. Be proud of your lifestyle when you fill an entire room not only with our themed drapes and window valence, but with rugs, throw pillows and more. 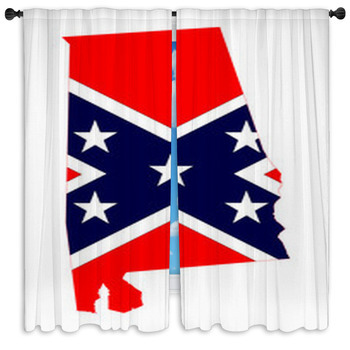 Teenagers love the rebellious attitude, so give them something they will love by personalizing drapes with their name, sports team, or any message you can think of. 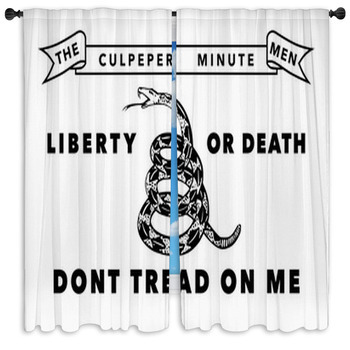 Whatever it is you protest or stand up for, our the revolution flag custom size drapes have the symbols that exclaim your strong stance.